Nordost is happy to be taking part once again in Axpona, held at the Westin O’hare in Rosemont, just outside of Chicago, Friday, April 15—Sunday, April 17. This is a great opportunity for end users to experience live demonstrations and cable comparisons covering Nordost’s extensive range of products. Nordost will be featured in several rooms throughout the show including room 316, 450 and 646. While at the show, make sure to visit our sales booth in The Marketplace to take advantage of our special show offers on select Nordost products. 1968 was the year when the Hi-Fi Boutique “Filtronique” was founded by Guy Charbonneau, whose North American reputation as a gifted and talented Sound Engineer was already well established. Six years later, in 1974, the store was sold to André Riendeau, the owner and founder of the world renowned Pro Sound company “Solotech” (who’s most notorious artists begin with Celine Dion, the Backstreet Boys 🙂 and many, many more…). With the addition of a new partner, a second location was also added in the east end of Montreal under the name “Sonor”; Daniel Jacques at its helm, better known today as the president and owner of the impressive High-End Audio distribution companies “Plurison Canada” and “Audio Plus Services USA”. Many clients will remember waltzing between the two stores to discover unique and prestigious products from brand names that had never been offered in Canada until then. After many years of coexistence, for financial and for logistical reasons, both stores were consolidated into the current Lajeunesse street location that customers revere and know today as “Filtronique”. One thing has never changed at “Filtronique” throughout the years: their desire to seek out and offer the best audio products available regardless of price. 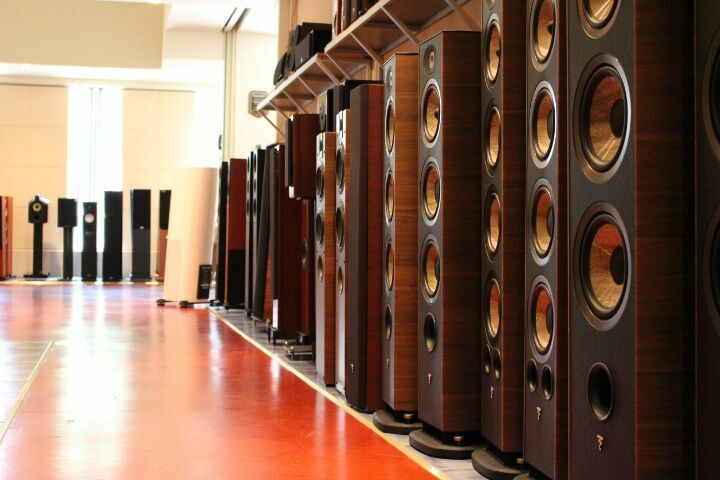 Their staff of six audio experts total 182 years of combined experience! According to the “Filtronique” Team, the addition of Nordost’s Odin 2 range of products only further validates how the company’s constant quest to reach and offer audio nirvana is important to them. In my opinion, there are very few specialized audio stores in North America who offer a broader and more diversified range of products and have such a professional and well informed and friendly staff as “Filtronique”. The store offers five sound rooms specifically designed to give the listener an exceptional and memorable experience, which can be correlated to their own listening environment. 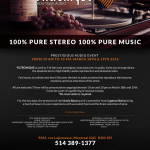 There couldn’t be a better opportunity for you to get to know the “Filtronique” team than this month as they’ll be hosting a special event featuring Nordost and many other products from internationally renowned prestigious brands. Each system is assembled to deliver exceptional performance, and all the nuance, emotion and musical texture intended by your favorite artists. The event will be held between 10:00 am and 10:00 pm on March 18th and 19th. The invitation is open to everyone, so please join the fun! C’est en 1968 que la boutique « Filtronique » fut fondée par Guy Charbonneau, déjà à l’époque reconnu comme l’un des plus talentueux preneur de son en Amérique du Nord. La vente du commerce à André Riendeau en 1974 , alors propriétaire et fondateur de « SOLOTECH » , engendrera la création de la seconde boutique « SONOR » avec son actionnaire au commande; Daniel Jacques, président de “Plurison Canada » et « Audio Plus USA ». Nombreux clients se souviendrons avoir valsé entre les deux boutiques et d’y découvrir des produits uniques et prestigieux jamais présenté alors au Canada. Éventuellement, pour des raisons économiques et de bon sens, les deux boutiques se sont consolidées pour devenir la Boutique «Filtronique» de la rue Lajeunesse que nos connaissons aujourd’hui. Le désir d’offrir les meilleurs produits audio, et ce dans toute les gammes de prix, est depuis l’adage de la boutique « FILTRONIQUE ». L’addition récente au catalogue« FILTRONIQUE » de la série ODIN II de NORDOST et de ses nombreuses déclinaisons font acte du sérieux de la quête du nirvana musical qui est véritablement la mission corporative de l’entreprise. D’après moi, rares sont les boutiques spécialisées offrant un éventail de produits aussi vaste et diversifié que «FILTRONIQUE», complimenté par une équipe aussi érudite et serviable. La boutique compte cinq salles d’écoute spécialement conçues pour vous offrir un environnement d’écoute hors pair et convivial. L’occasion ne pourrait être plus à propos pour vous faire connaitre la boutique«FILTRONIQUE» car aura lieu le 18 et 19 mars prochain un « ÉVÉNEMENT AUDIO DE PRESTIGE » mettant en vedette les câbles Nordost ainsi que plusieurs des meilleurs systèmes audio actuels en mesure de révéler de façon exceptionnelle, toutes les textures des instruments, ainsi que les émotions et les intentions de vos artistes préférés. L’entrée est libre et ouvert à tous! Vous n’avez qu’à vous présenter à la boutique entre 10h et 22h. It never ceases to amaze: enter the sound room of any passionate music lover and you’ll find a rack full of costly HiFi gear—a wealth of cherished recordings lining the walls—but search for a few basic tools to tune things up and you’re met with blank stares. Or worse, you find a broken-handled screwdriver that looks as if it had been used to chisel stone. Needle-Nose Pliers: essential for cartridge installation and useful for any sort of fine wire work, not to mention fishing small screws out of tight spaces. You’re best off with two: 1” and 2-3” jaw. Best brands are Snap-on, Channellock and Diamond. High quality flashlight and Magnifying glass: Over 40? These are self-explanatory. An LED Flashlight with multiple brightness settings is worth a king’s ransom. These will come in handy when looking behind your system, adjusting phono cartridge alignment, and in infinite other instances. Protractor and Stylus Force Gauge: For Analog Lovers Only! 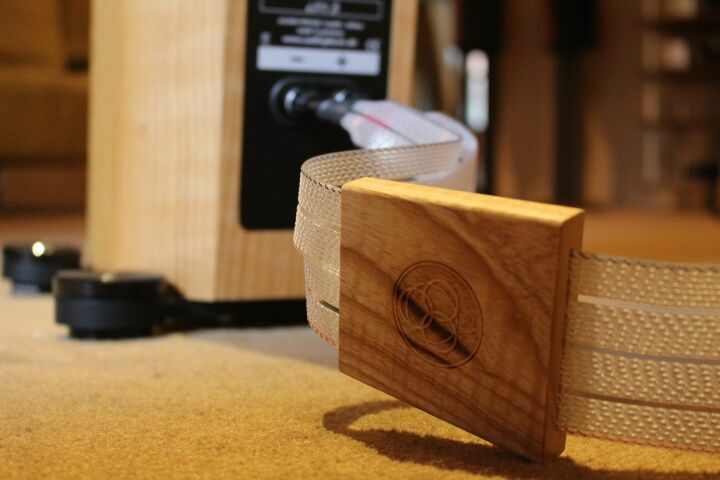 Brinkmann makes a gorgeous and easy-to use Protractor based upon the old Dennesen Soundtractor. As for Stylus Force Gauges, high precision digital units are available on ebay for $10. Parting shot: When it comes to tightening screws, bolts and other fasteners, audiophiles seem to think that “If a little is good, more is better!” Avoid the temptation and DON’T Overtighten!! !